Is Great Eyesight All About Genetics? Are People With Light Blue, Green Eyes More Likely to Develop Cataracts? 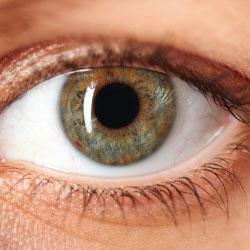 There are several possible risk factors for developing cataracts, but eye color is perhaps one of the most surprising. Evidence suggests that adults with darker rather than lighter irises are at greater risk for developing certain types of cataracts in late middle age. Increasingly, experts recommend that those with brown or black eyes should more carefully follow cataract prevention measures.